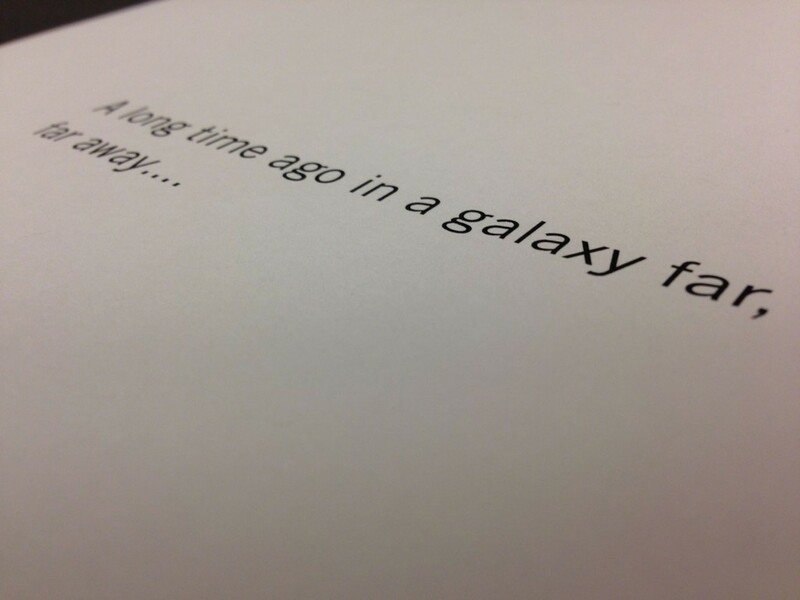 Star Wars Stand-Alone Spin-off: Whitta shares pic of opening “A long time ago” text? Whitta wasn’t saying what it was for. It could “literally” be for anything. That said, the man is delivering a 2016 Star Wars stand-alone spin-off. It is probably related to that, otherwise why would he find a 30 year old George Lucas quote notable? He also defends the lack of a comma after “ago” which implies he wrote the text himself. If it was from a product, I think someone would have fingered its origin. That said, you never know. But If we’re betting, I’m betting that’s the start of his script. Fun times. I’m looking forward to reading what he’s writing on the pages of his script.